Mane 7 made their way to Grimyglade. That was a small town. Most of it's buildings were made from wood, but some were made like buildings in big cities. But all town looked old and abandoned. With each breath ponies could feel that this place is definetely not a center of pony life. Twilight: Well as far as i can see, we've come to the right place. Fluttershy: Are you sure, Twilight? Twilight: Of course i am, i am very good when it comes to find something with a map....and there is a board with town's name. Near town's entrance was a board with a message: "Welcome to Grimyglade". It was junk a little, but town's name could be seen correctly. Starlight: So, we have to find the orphanage, where Honormight lived? Twilight: Yes, something tells me, that in this place we won't find too much orphanages. Mane 5 returned to Princess Celestia's castle. Rainbow Dash: Well...we have returned. Twilight: Guys, hi, what are you doing here? Twilight, Starlight and Spike came to them. Rarity: Twilight, Starlight!How are you? Starlight: Well, fine, i guess..
Rainbow Dash: Well we, ehmm...fine too. Fluttershy: Twilight, did you find the artifact? Twilight and Starlight negatively noded their heads. Starlight: Even worse, we found it, but Sin'Kar took it from us. Spike: This is my fault, Sin'Kar captured me and ordered artifact for my life.Twilight and Starlight risked their lives to get it, and they had to give it to him. Twilight: Do not blame yourself, Spike, you couldn't do anything. Sorry for long delay, got some serious troubles on my work, but now it's fine, so here it is. While Twilight and Starlight were searching for the artifact, Rainbow Dash, Rarity, Pinkie Pie, Applejack and Fluttershy had another task from Princess Celestia. Mane 5 made their way to a small village, located to the north-west of Canterlot. Rainbow Dash: Remind me somepony, why Princess Celestia sent us to this middle of nowhere? Rarity: This village is not a middle of nowhere, it is just eh...mmm..not the most famous village in Equestria. Rainbow Dash: So "not the most famous", that nopony of us remember it's name. Rarity: Of course we remember, it is....alright, we don't remember, but this is not important.Villagers suffer from a rogue, who invades their village and robs everypony.Princess Celestia ordered us to deal with it. Ponies made their way to the ruins. The field was in front of them. They took a long breath and jumped in. Starlight: Oufff...looks like this field affects on us immideately. Twilight: Yes, uf, we have to hurry. Starlight: But where should we go? Twilight: I see something like an entrance to the dilapidated temple up ahead.Let's go there! Twilight: Look, there are symbols on the walls just like one, which was in that cave.I think we are on the right way. Starlight: I really hope so. Ponies made their way deep into temple. They saw a hole on the floor. They came closer to it and used their horns to light it. Starlight: Hmmm..it's deep down there.. Twilight: True, but something tells me, that we have to go down. Starlight: Well, waht are we waiting for? Ponies jumped into that hole. After a few hours Twilight, Starlight and Spike arrived to a small cave. Twilight: So this is it? Twilight: That isn't look like a sanctuary for a sacred relic to be honest. Starlight: We seek not for a sanctuary, but for a secret place, which can hold that artifact. Twilight: Then that place isn't look like a secret place. Starlight: Twilight, would it be a secret place if everypony could say: "Hey, that cave hold something good for sure"? Twilight: You've got your point.Let's move out. All 3 friends came in. The cave was dark, but Twilight and Starlight used magic to light their way. Twilight: That cave seems to be not so large, but still we would spend plenty amount of time, before we will find that we came for. Starlight: You are right, as always. Twilight: What is it, Spike? Spike: Do you see that wall, come closer. Princesses Celestia and Luna sit close to each other. Princesses Cadence and Twilight stood in front of them. Celestia: Cadence, did Shining Armor see something strange near Canterlot? Cadence: No, looks like tigronytes don't manage to appear here. Shininh Armor: Only for now. Shining Armor enetred the throne hall. Shining Armor: There are no tigronytes nearby, but the cultists, they can be found quite easily.And the far we go, the more of them we meet. Celestia: This is bad, they will become tigronytes very soon, i don't understand what Fallenlight offers to them? Twilight: She doesn't offer anything, she force them to become cultists! Shining Armor: Unfortunately, it is not that easy, Twilight, some ponies decide to become cultists by their own will. Hi there, isn't it a time for another episode?Yes it is! Princess Celestia's forces came to Crystal Empire. By other side tigronytes were looking at them. Bloodhorn: Hmmm....Celestia!Good what you are here, my weapon is thirsty, as i can see you did not take your sweet sister with you, no problem, as soon as i will rip you apart i will come to her by myself! Bloodhorn: Blah!Stop it, we all know how our "conversation" will proceed. Ponies started to fight against tigronytes. Bloodhorn decided not to waste his time on ordinary ponies, so he rushed at princess Celestia, Fallenlight decided the same thing. Princess Cadence and Shining Armor joined princess Celestia. Fallenlight created an energy field around Bloodhorn. Princess Celestia were siting in her throne hall, but suddenly Cadence and Shining armor ran inside. Shining Armor: Princess Celestia, grave news!Bloodhorn with his tigronytes sieged Crystal Empire! Celestia: I understood, i will gather the forces right now.You have some time to rest, soon we will move out. Shining Armor: Princess Celestia, can we have a talk with Twilight? If you will find any grammar mistakes - feel free to show me them. Twilight awakened in Wedding castle. She saw princess Celestia in fron of her. Celestia: Twilight, you have awoken!I was really worried about you! Twilight: It's not the first time, when i have to wake up from the serious fight, but i am fi..*Twilight has tried to stand up, but pain has stopped her*...ouch..where are the others?Are they fine? Celestia: They've been roughed up, especially Applejack and Fluttershy, but I believe they will be okay.Rarity and Spike are taking care about them. Bloodhorn decided to rush at Pinkie Pie first, but Twilight attacked him with her magic beam. That beam didn't damaged him at all, but Bloodhorn changed his mind, he started to attack Twilight. Bloodhorn tried to hit her with his weapon, his hooves and his horn. It was very hard for Twilight to dodge Bloodhorn's attacks. Twilight tried to strike back, but Bloodhorn attacked her without any pauses, so the only thing Twilight could is to dodge his attack. Bloodhorn: Stay still!I am trying to kill you! That wasn't for too long, soon Bloodhorn succesfully hit Twilight with his front right hoof. Twilight fell into ground and fainted away. In that moment Applejack catched Bloodhorn with her lasso. I have an extra day off, so i decided to upload another episode. Twilight: So Fallenlight just came to you to give you Discord's head? Twilight: She really wants us to become mad, and i have to say, she is doing it good! Rainbow Dash: I agreee!Yes, Discord is...super nice person, but this, this is totally unacceptable! Rarity: And still i wonder, how Fallenlight did that?As i remember, Discord ate pages with that spell. Twilight: Yesterday a small group of cultists appeared near my home, i dealed with them, but when i returned i found that this book (Twilight put the book on the table) wasn't in the same place as before. Rainbow Dash: It probably moved because of the wind. Applejack: Or you just moved it by yourself. As i sad in episode 7, i will upload episode 8 sooner than i usually do, so here it is! Twilight was reading the book. Spike: Twilight, a new message from princess Celestia! Message: "Dear Twilight, Sin'Kar is a huge threat for Equestria.I will send some ponies to find those artifacts, from time to time i will give you information, about their locations.But in current moment we have to deal with tigronytes first.Twilight, be carefull. Twilight: I fully agree with princess Celestia. Fallenlight is planning something, no doubts..we have to be prepared. Fallenlight and 4 cultists appeared through the portal. It's time for 7th episode i guess.This one is short too, that is why i will post 8th sooner than usual. Next morning Twilight and Pony-manager were searching for information about stolen amulet. Pony-manager: I do not understand, what is so special about that amulet? Why that dragon stole it? Twilight: I can't understand too...there is almost no information about this.. Twilight: No matter, we will find what is so special with that amulet and we will find that thief, i swear! Pony-manager: If that thief is dragon, then you should be careful. Twilight: Dragon, hmmm...why he came to Ponyville, why he wanted that amulet that much, Spike, maybe you know him or know something about amulet? Here it is, the sixth episode. Mane 6 and Spike had a walk. Twilight: ….well enough about me, what happened in Ponyville while I was in Canterlot? Applejack: Fortunately, everything was fine. We checked the forest again, but nothing strange was there too. Rainbow Dash: To be honest, I like that we hadn’t meet anyone, according to your tales those guys are very serious. Rarity: Yes, all those tigronytes with their abilities can make the fur fly! Pinkie Pie took the fur and started to throw it to the air. Twilight: That sentence was metaphorical. There was a signboard in front of them: Tomorrow and the next day here will be an exposition of ancient relics and artifacts.Entrance is free. Hello everyone, in my profile i mentioned that i am a "story writer".So i decided to,you know,upload some of that stories here. My story is MLP story.This is my first experience in it,so i believe you will see a lot of mistakes.If you see them-feel free to say about that. I still don't have a name for this story. And this story was written for comics, but if you saw my "artwork", you know that as a comic it probably will never appear( if someone else will draw it, it may appear sooner ). Well, i guess i can start, so here it is. Near night Twilight was in her wood home(like in the first seasons of MLP FiM show(it was rebuilded)),and as usual she were reading books, Spike was nearby and were biting a ruby. Spike: Well it is nice, that Celestia ordered to rebuild your old house! Twilght: Yes, Spike.Sometimes i am getting tired of my castle, but here i can be like in the nice old times. It is obviously time to go sleep, but a sudden belch from Spike changed the plans, that was a message from princess Celestia. Spike: Look, Twilight!It is a message from princess Celestia! Twilight: Let me look at it, quickly! Spike gave it to her. Message: "My dear Twilight, and again i wished to congratulate you for your deeds as princess of friendship, but unfortunately, now i have to tell you about much worse things.I received multiple reports, about strange behaviour among ponies.They do antisocial things: they gather at night by unknown reasons, speak about weird things, and do aggression to anyone who wish to contact them.I thought that was just one-time events, but it is happening over and over again.I am afraid that we are dealing with something very serious.Those who i sent to investigate, cannot tell me something useful, that is why i ask you.Twilight, try to discover what is going on. According to the data i have, some groups of those "strange" ponies gathering near your friendship castle, if you will go there right now, you will be able to find them.Gather all information that you can. Spike: Wow, looks like it is a big deal! Twilight: Indeed!Celestia wouldn't ask me for help, if it wasn't so.I will go there right now! Twilight flew away from her home to the friendship castle. Near it, she found a group of cloaked ponies, they were jumping near bonfire and were doing exactly the stuff princess Celestia talked about. "Strange ponies": Soon!It comes!It begins!We must hurry!Mustn't keep the master waiting! Zero reaction, "strange ponies" were doing the same stuff as before. Twilight launched a beam to the bonfire. "Strange ponies" stopped, they looked at Twilight very unfriendly. "Strange ponies" abruptly charged to Twilight. They began to try to bite and push Twilight. Twilight: Ouch!What are you doing!Stop it right now! Twilight was trying to dodge all attacks. Twilight: I don't want this to be this way! "Strange ponies" tried the same thing, but with more anger. Twilight launched AOE magic attack which shut "Strange ponies" down. Twilight saw a strange cloaked pony figure, that looked at her from the tree. From the dark, only eyes could be seen, and it's evil smile. Figure started to run away. Figure hided over the hill, Twilight followed, but that figure disappeared. Twilight returned to the place, where she dealed with "Strange ponies", but they disappeared too. Twilight decided to go back to home. During her way to home she started to think. Twilight: What a strange stuff do we have here, those ponies were mad, and who was that pony, who hided on the tree?Too much strange thigs for one night, don't you agree? Twilight suddenly saw another "Strange pony", who ran from someone or to someone. Twilight flew follow him, she looked forward and saw another group of "Strange ponies". She rushed to the "Strange pony", after who she was following, shut him down, weared his cloak, and jumped to other "Strange ponies". "Strange ponies": Yes!We must go! All ponies started to run somewhere. "Strange ponies" held a bags with something alive inside. Night completely came over all Equestria. They all jumped on the marge, Twillight did the same. There was another group of "Strange ponies". "Strange ponies" threw their bags near bonfire. Suddenly in front of them appeared the pony, who disappeared over the hill, when Twilight tried to chase her. Twilight(in her mind): There she is, that wasn't a dream that time.All of this is her job, no doubts. Pony-figure opened the bags, there were normal ponies...binded. Twilight opened her mouth, because of astonishment, but quickly closed it. Pony-figure: Great!They would be a nice sacrifice for the mighty Lord Tigeron! Twilight just saw, that for a second Pony-figure looked directly at her and in her eyes was an evil shine. Pony-figure: Fellas!I have another good new for you! Pony-figure: Our little camp visited princess of friendship-Twilight Sparkle! With that words Pony-figure undisguised Twilight. Pony-figure: Princess Twilight, your presence is an honor for us, but next time warn us, so we will be able to prepare l a r g e greetings! Twilight: If you introduced me to everyone, why wouldn't you introduce yourself to me? That was a black alicorn. She had a metallic helmet on her head, she had an amulet on her neck. She had an armor on her legs. Front right leg instead of hoof had a kind of metallic thimble. Her horn was halved in the upper part. Twilight: Yyyou are an alicorn? Pony-figure: Yes, princess.My name is Fallenlight and yes, i gathered all those ponies, but their "madness" is not my deeds, at least for the most part. Twilight: Lord Tigeron?Who is that?And why you or him do all this stuff? Fallenlight: Lord Tigeron is the mightiest creature ever existed.He goes from the world to the world, to drain all the energy from there and to spread his servants to the worlds.This time he chose this world.We are Tigronytes, we are his servants, we do everything to bring him here, and we do everything to make more of us. Twilight: I don't know what are you talking about and i don't care, but no matter what you plan to do - i shall stop you! Fallenlight flashed back from Twilight. Fallenlight: You have to deal with them first.Get her,boys! "Strange ponies" rushed to Twilight, they attacked her with more anger, than previous ones. Twilight was unable to do AOE this time, so she had to shut them down one by one. Fallenlight watched this and enjoyed. As soon as Twilight handled with the last one, she looked up to Fallenlight. Fallenlight: Very good, Twilight, perhaps you became princess not because of your beautiful eyes. Twilight: I became princess because of THIS! Twilight launched a beam to Fallenlight. Fallenlight did the same, but her beam was much larger and stronger. Fallenlight's beam crushed Twilight's beam and stroke Twilight. Twilight hit the tree behind her. Fallenlight: See?And this is not even my medium attack. Twilight trying to stand up: Okay, you're strong, but i won't go so easy on you! Fallenlight cast an energy chains on Twilight which binded her. Twilight tried to set her free, but the chains were too strong. Fallenlight: A kind of tightly chains isn't it?Sure it is!Your determinaton is impressive, but without power it is nothing. After that Fallenlight swinged with her "special leg" through the air, and that action cut the matter, and cause a strange hole to appear. She put all "strange ponies" in that hole, and those ponies, who were in bags. Twilight: Argh..what are you doing? !Bring them back! Fallenlight started to disappear in that hole. Fallenlight: I would gladly stay with you and torment you to death, but i have so much things to do, and so little time.And you still have to serve "the great purpose".See you soon! Fallenlight disappeared and the hole closed. Twilight: That Fallenlight, she is strong...very strong.Looks like we have some serious troubles.I have to tell everything to princess Celestia! Twilight made her way to Celestia. "Strange ponies" were doing some weird stuff. Fallenlight watched at the exit of that cave. Hello, i am looking for people who can do animations of my little pony fandom. I plan to do something like mini-series/mini show. It can look like in the actual show or not, i would like to know if here are people who can do so, and what prices do they have. You can give me your contacts here or send me a note. Hi, i would like to try to work as a scenario writter. -write characters concepts(f.e. you got a very nice OC protagonist, but you need a villain for him or sidekicks for him). I can work solo or in team. I am the scenario writter for the my little pony comic above. That means i am doing for this comic all the fatures i mentioned. Important note: i am not limited to mlp franchice i will gladly work for any other franchise. Since that's the only real experience i have i don't expect high payments, however i don't expect hard deadlines aswell(ofc i don't want the deadline like 1 year for 1 page xD, but also if i get 1 day to write the scenes for 1000 pages that would be not nice). If you have any questions it is better to note me, in that case i will reply faster. Hello guys, recently(well maybe not so recently, more than half of the year passed lol) i started to wrtie mlp fanfic, my writing skills are horrible, but i managed to turn them into the comic. So now me and other artists draw my story as a collab (each artist do 1 page in their own style). Now we faced a situation when we need more artists to join us. Here i would like to offer everyone who draw mlp related content to participate in our project. If you are interested - leave a comment here or (and) PM me. -our collab is free, that means not only that everyone can join without any payments and stuff, but also that we all do it for free and so i will expect the same from you.In short if you want to get points or cash for you draws then this project is not for you, sorry. -default language for communication is english. Well, i found too much crap in already released ones, so since mlp cam is the comic now, i probably will publish new episodes once comic series will get to episode 19. Got this awesome pic requested from of my OC - Everchanging. 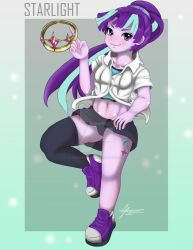 Upload this here, due to artist's wishes and to help him become more popular. I just found that i want to make another useless journal, so here it is. Here you can type or ask whatever you wish about my story. A second-rate storywriter and third-rate painter. CetusSantis has started a donation pool! I just wished to fill my page with something. You have so much points, and you don't know what to do with them? - Send them to someone, who really do something special. Are you still interested? I'm holding your stuff right now, and just wanted to make sure before I store it again. I've sent you a note, sorry for late reply.